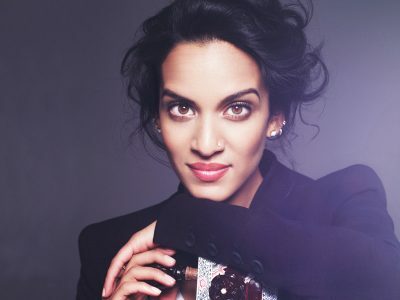 This is a free event for Anoushka Shankar ticket holders only. Seating is limited and first-come, first-served. Nina Buddhdev, heritage arts advocate, consultant and artists mentor, explores Anoushka Shankar’s rooted musical devotion, her compelling personal journey, and the emotionality mirrored in the newly released and carefully curated album, Reflections. Nina shares some of her own precious memories of working with Anoushka’s father, Shri Pt. Ravi Shankar and the legendary masters of Indian classical music who all impacted her deep association with heritage arts. With over sixteen years in the creative management field, Nina Buddhdev is known to empower transformative ideation, incubation and strategic planning for professional, emerging and aspiring artists, organizations and communities. In the UK, Nina managed production projects for Asian Music Circuit, UK’s leading traditional arts agency for the Arts Council of England. Nina’s versatility and expertise in the traditional arts has also allowed her to realize a wide array of culturally specific projects in Canada. 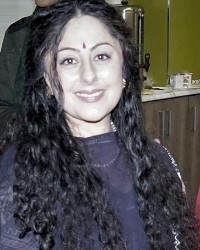 In 2015, she launched the ‘Traditional India Series’ and has since created opportunities for traditional artist on provincial panels, media programs, festivals and national campaigns. She recently launched the ‘The Raga Residency’ school district project, presented at the Place Des Arts by sitarist Sharanjeet Singh Mand. In 2018, she created ‘The Raga Experience’, which showcased Canadian emerging and aspiring Indian classical musicians for the Juno Awards provincial celebrations. Currently, Nina is designing a series of outreach programs and a national partnership initiative with industry leaders to connect the diverse ecosystems of Canada’s music sector.